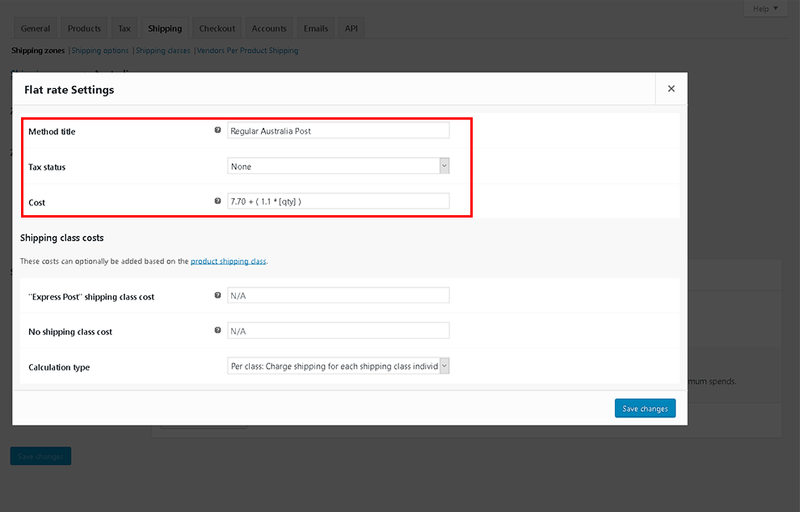 Woocommerce: How to Add Shipping Options to Woo? We keep getting asked about this and there is lot of different ways to do this. So instead, we're going show you how we do it. Then we "Add Shipping Method" and selected "Flat Rate"
Change the Flat Rate name to "Regular Australia Post"
If you want a "Express Post" Option, just do that again. Your customer can decide if they want express or regular. You can add a flat rate in the price field or you can make a calculation like ours. Again feel free to add whatever you want - it's your business. 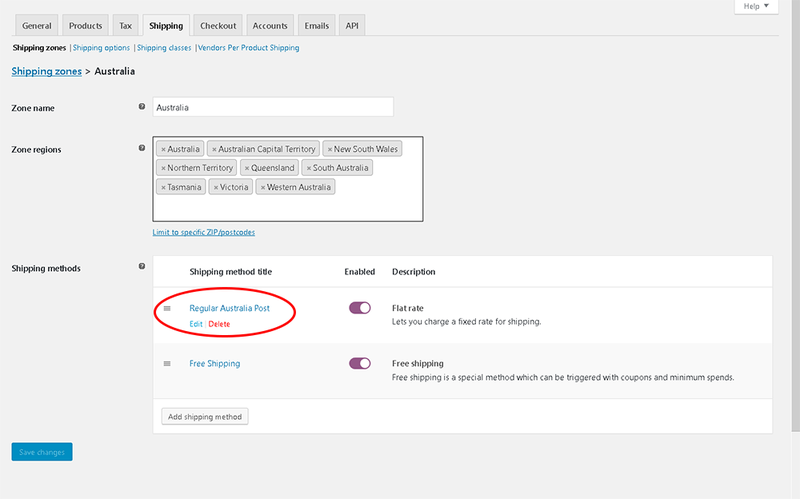 Related articles Shopify - How to add manual Shipping Methods in Shopify? Returns - How do you handle returns and faulty products? 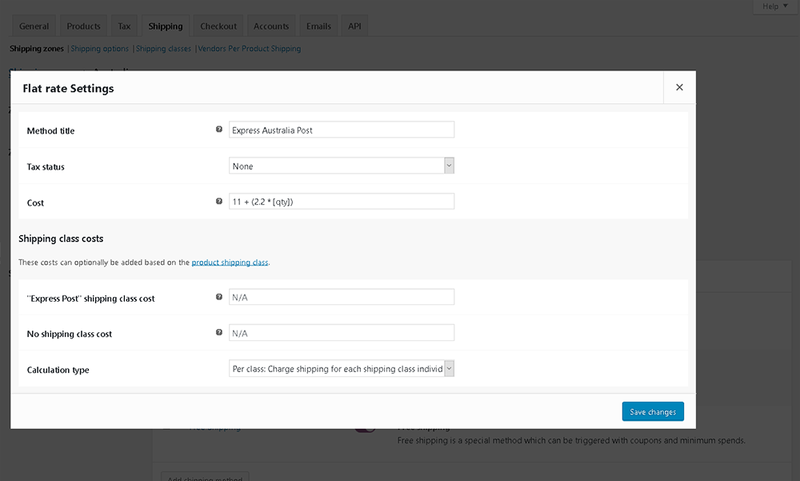 Woocommerce - How to Add Product Attributes and Variations?